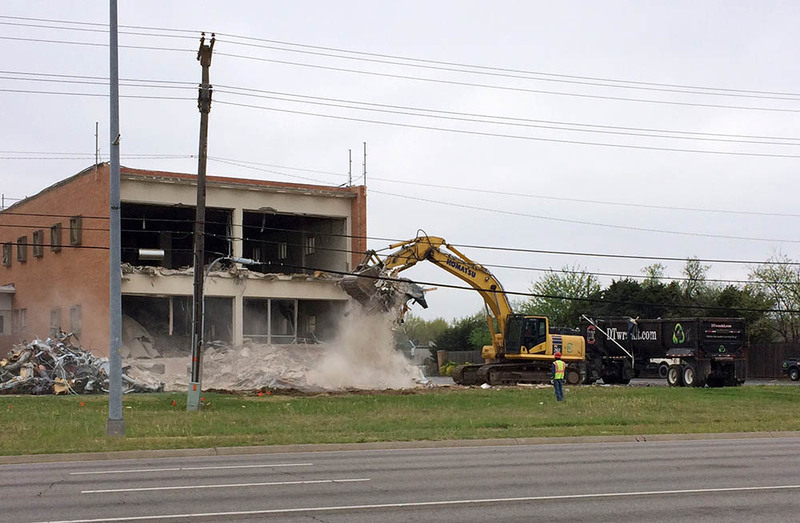 Demolition started today on the southwest corner of Pennsylvania and NW Expressway to make way for a new commercial development. Tulsa developer Ryan McNeil acquired 3.26 acres from Chesapeake Energy in February of 2016 for $4.1 million and recently received approval to rezone for commercial use. 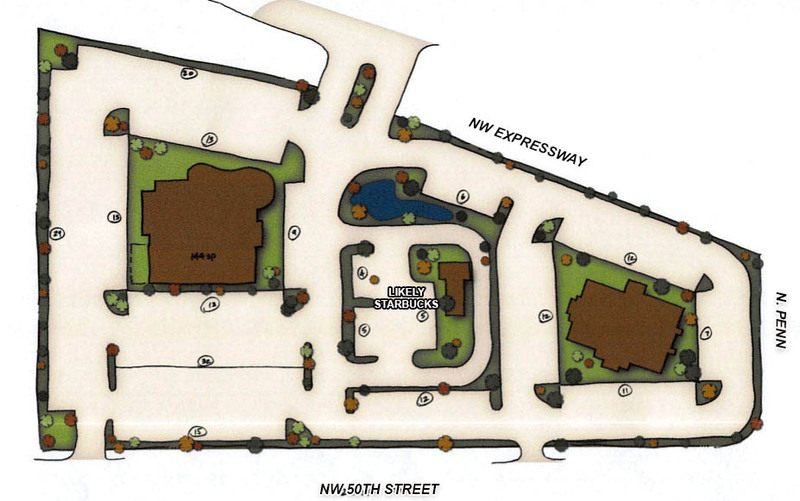 A preliminary master plan shows three buildings on the site with an new entry and exit directly from NW Expressway. McNeil has developed several Starbucks and the center building appears to for that Seattle company, with a drive-thru. 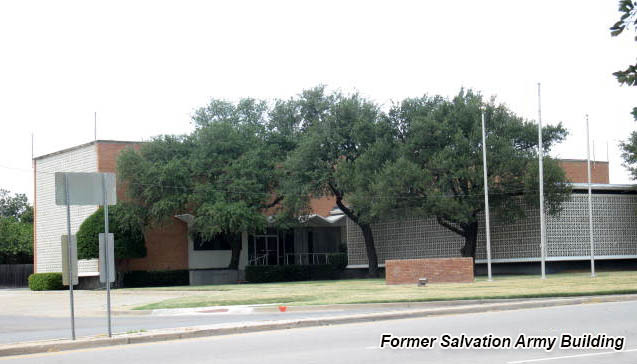 Chesapeake had acquired 9 homes on either side of Barnes Avenue north of 50th plus the former Salvation Army building (1955) for a total of $3.7 million between 2011 and 2013.